About Us | About Us – Southern Fly Fishers Australia Inc. Located in Melbourne, Australia, the Southern Fly Fishers was founded in May 1967. The aim of the club is to support members in their enjoyment of the sport of fly fishing. Members span all ages and demographics and new members are always welcome! We are privileged to have access to a custom built casting practice pool (see picture below) that is equipped with floodlights to allow for night time use. This facility allows our members to practice their casting techniques all year round. Members will also receive invaluable tuition from some expert casters. 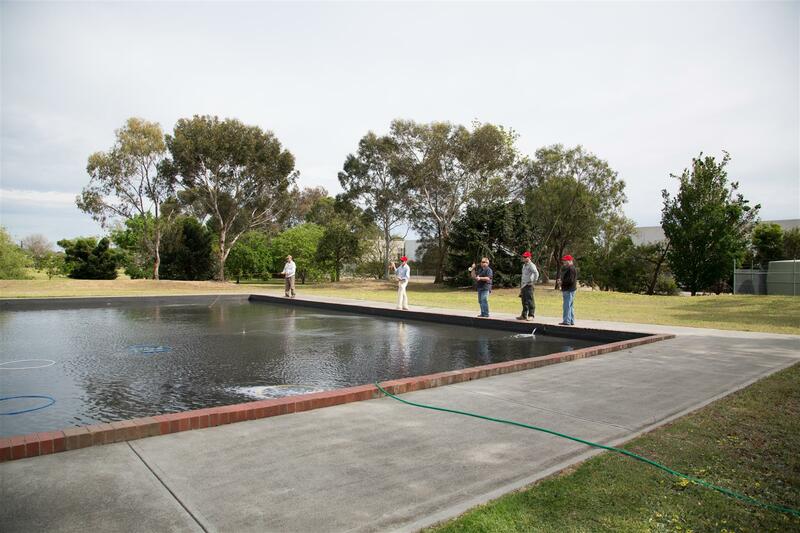 Meetings are held every 2nd and 4th Wednesday of the month at the Southern Fly Fishing Clubroom and Casting Pool located in Highett Reserve, Cnr Chesterville and Turner Roads, Highett. Melways 77 J 9 (See the map below). Look for the “Combined Clubrooms” entrance at Nº 33 Turner Road. What time are the Club’s meeting? Generally start at 7:30, but on members nights there is casting practice at6:30 if you want to join in.